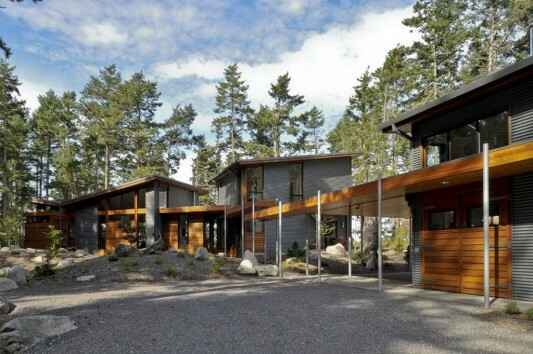 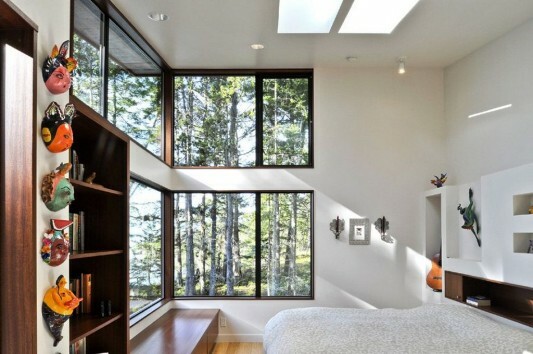 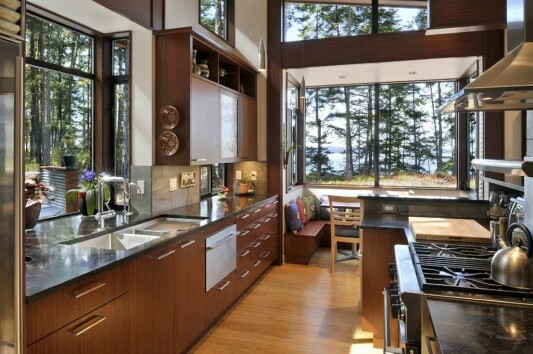 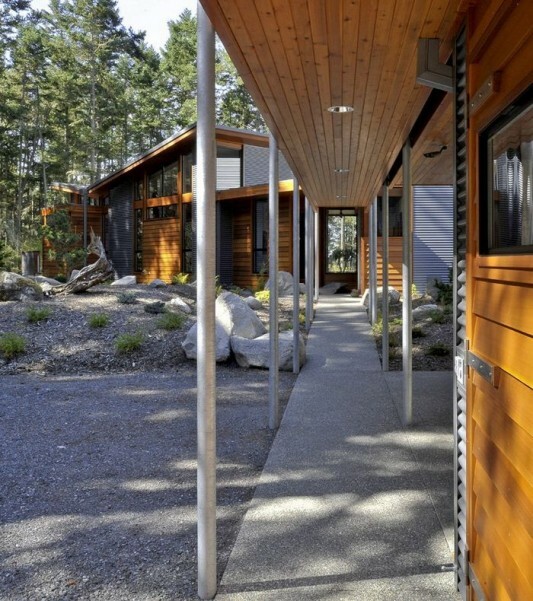 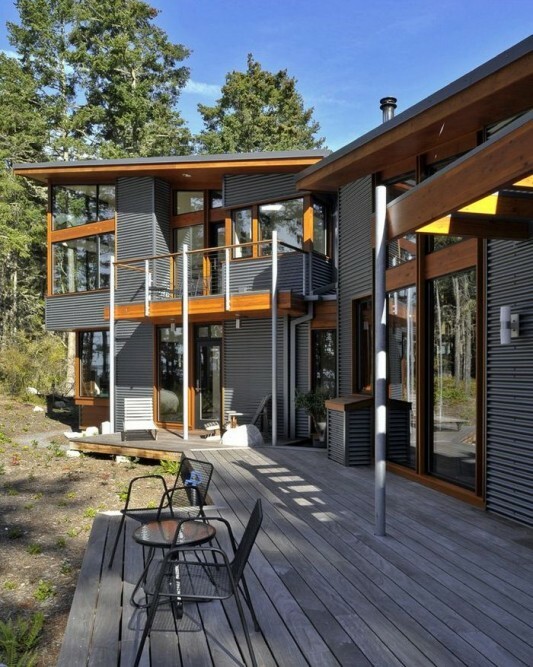 Minimalist modern style house is situated amongst natural bushy trees Lopez Island in Washington. 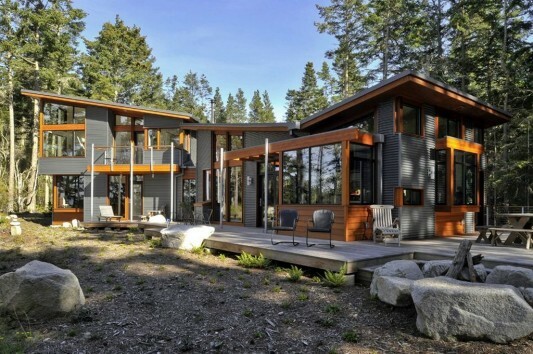 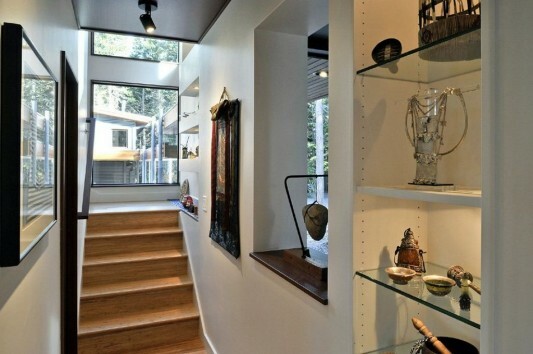 The area is heavily wooded coast a distinct advantage, in the construction of this house, took the beautiful scenery all year round. 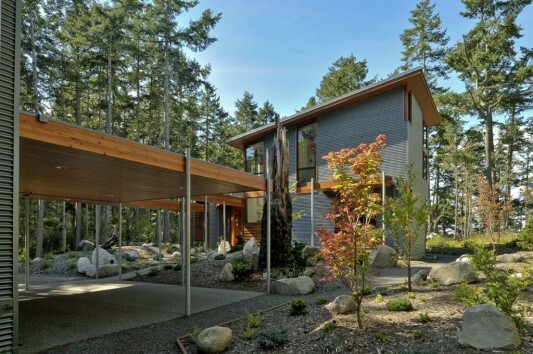 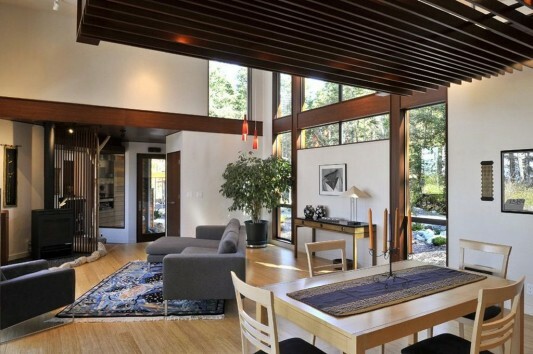 The arrangement and shape of a house adapted to environmental conditions as well as connections with outdoor area in the middle of the trees.